As someone going through divorce, you can understand the challenges and difficulties you will face. However, children are often the ones who experience the most conflicting and damaging emotions. All they know is their family, and they expect their parents to be together forever. Obviously, life doesn’t always go according to plans and divorce is a common result of this. Children are often too young to understand the difficulties marriages face, and because of this are unprepared to deal with turmoil of a dividing family. 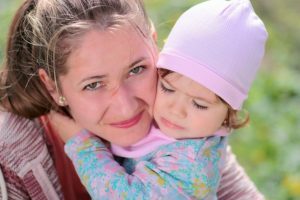 Help your children cope with your Raleigh divorce by following these tips. At Doyle Divorce Law, we understand how important your children are to you. Though divorce can be hard on you, it can be even more difficult for them. Although it may feel best to keep your children sheltered from your divorce, it is actually best to be transparent with your kids. Despite the sensitivity of the subject, be prepared to tell them a truth such as, “We can’t get along anymore.” As painful as the truth can be for a child, finding out that you withheld the truth from them can create an untrusting relationship. One of the worst things for a child to feel is unloved. Divorce is a scary thing and it isn’t easy for any child to face. They may feel like they are all alone and their world is being torn apart. All of the distractions that parents have during that time, it is easy for a child to feel neglected or unloved. When conflict arises between the parents, children will naturally feel at blame. Remind them they are loved by embracing them, through words of affirmation, and smiles. Although an occasional disagreement between you and your spouse/ex may break out, it is imperative that it remains civil and respectful. Fighting, screaming, name calling, and violence can make kids feel afraid and worried, and may impact their own future relationships. Handling conflict poorly sets a negative example for kids. Conflict will arise in your divorce. This, however, needs to be confined to appropriate settings such with a counselor or divorce mediator. One of the most important and often missed steps during a divorce is not helping children with their emotions. No child wants to see their parents separate. This is all they know of the world, and this is an extremely confusing time for them. For many children in this situation, the emotions they feel will be the first time they have experienced or felt the way they do now. Be sure to let them know that their feelings of anger and sadness are natural and okay. Some children may need help expressing their feelings. It may be hard for them to put their feelings or emotions into words. It is important that you spend time with your child(ren) and help them with how they feel. As a parent, you can help guide them through this troubling time and show them that everything will be fine. Be sure to give honest answers when you have them and when you do not have all of the answers yet, be sure to comfort them. Telling them what they need to know is always the right thing to do. Remember that kids ask questions because they are unsure of the future and are looking for help. Though divorce can be hard, there are a numerous opportunities for you to seek help. Raleigh counseling services are fantastic and can help both you and your child(ren) with the difficutly of divorce. Mediation is another resource that can help you and your spouse address issues that arise during your North Carolina divorce. For over 18 years, we have helped people overcome the struggles of divorce here in Raleigh. Our goal is to help families and parents successfully navigate the difficulties that can occur during separation, divorce and afterward.